According to CEO Satya Nadella, it's apparently Xbox or bust. While Microsoft continues to be buoyed by enterprise and cloud services like Azure, chief executive Satya Nadella tried to reassure analysts that Microsoft still has a consumer strategy: Xbox, PC gaming, and devices powered by digital assistants like Cortana. But he wasn't especially convincing. With the demise of consumer products like the Zune music player, Groove Music Pass, and Windows phones, some customers have wondered whether Microsoft indeed has a consumer strategy in mind. “When I come home at night, I’m talking to Alexa... not Cortana,” one analyst said during a Microsoft investor call on Thursday. “Our real strategy going forward is not only to do great work on the console but also complement that with the work we’re doing on the PC,” Nadella replied. PC gaming is a growth market, Nadella said, and Microsoft’s goal is to bring those platforms together: via its Game Pass subscription service (an Xbox-only offering for now); its Mixer streaming service, where gamers can stream themselves as they play either PC or Xbox games; and mobile gaming, where Nadella highlighted the fact that Minecraft has been ported to pretty much everything. Nadella also mentioned, as Microsoft executives have previously, that the company plans to tap Azure to assist gaming, though it's not quite clear how. Two days ago, Microsoft bought PlayFab, a company that simplifies the back-end services needed to run online games. Essentially, Nadella said, Microsoft's goal was to offer subscription services and streaming services across all devices. In devices, though, Nadella was much more vague. Here, Nadella said, Microsoft is encourging the development of AI in general, whether it be speech or image recognition or dialogue management. Special skills that bridge work and play will gain intelligence from Office 365. Nadella also said that Microsoft was encouraging developers of other devices to port them to Windows: Amazon’s Alexa, for example. “We would welcome it on our devices,” Nadella said of Alexa. Here, though, Nadella had a chance to mention the sole Cortana smart speaker, the Harman Kardon Invoke—and he didn’t. Nor did he mention Microsoft’s ambitious plans to embed Cortana into a number of consumer devices, like the car. Nadella actually characterized Cortana as a capability of Azure’s cognitive services, rather than as a consumer-facing agent. Nevertheless, Microsoft delivered excellent results for its second fiscal quarter, with $28.9 billion in quarterly revenue, up 12 percent from a year ago. Non-GAAP profits were $7.5 billion, a number that was significant because Microsoft—along with most other public companies—included a massive tax charge as part of the new U.S. tax plan. Including this $13.8-billion charge, Microsoft lost $6.3 billion. Gaming revenue soared, as it usually does during the fourth calendar quarter. Sales topped $3.9 billion, an all-time high. Xbox Live subscribers reached 59 million users per month, the most accurate representation of how many gamers play with their Xbox consoles. 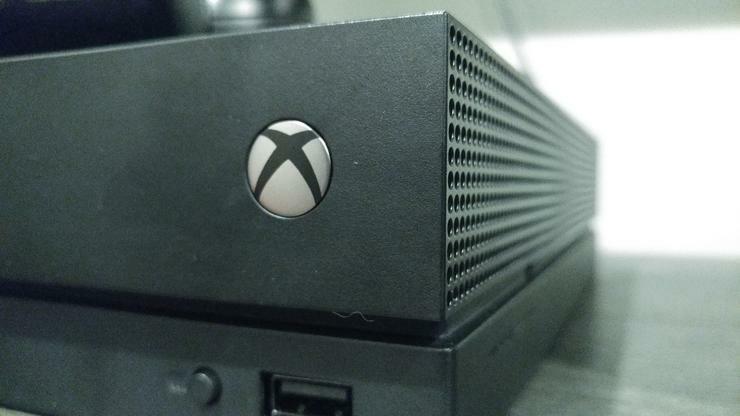 Naturally, most of the gaming revenue came from the launch of the Xbox One X console, Microsoft said. According to Nadella, the results help show that Microsoft’s new strategy of an “intelligent cloud, intelligent edge” appear to be bearing fruit. Nevertheless, Microsoft’s approach to the consumer market appears to be the Xbox, some PC gaming—and little else.